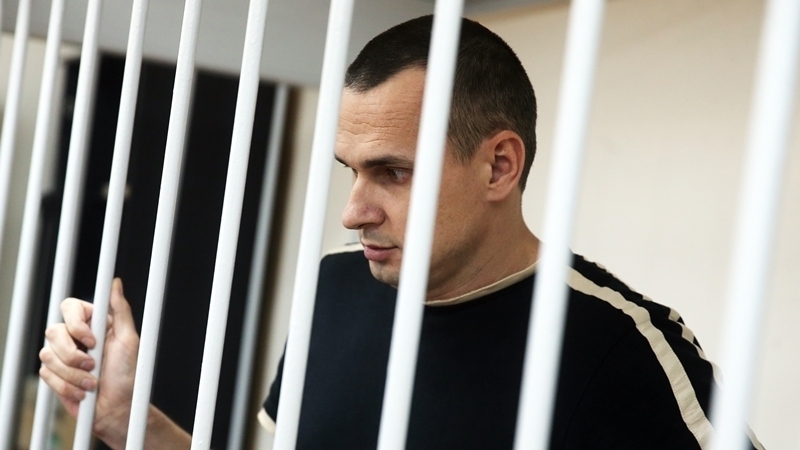 Ukrainian political prisoner Oleg Sentsov agreed to supportive therapy, the press service of the Federal Penitentiary Service of the Russian Federation (FSIN) for the Yamal-Nenetsk Autonomous District reported. “We inform that at present the convict O. Sentsov who refused to eat, is under the dynamic supervision of medical workers of the institution where he is serving his sentence. At the present time O. Sentsov began receiving supportive therapy, which he gave his consent," reads the message. The Russian Federal Penitentiary Service also stressed that during the time of the hunger strike, the political prisoner did not suffer from deterioration in his state of health. “During the prisoner's refusal of food, the deterioration in general health is not recorded. At the moment, his state of health is satisfactory," the press service informed. The press service also reported that Sentsov had been informed about the negative impact of the hunger strike for the body. QHA reported that the Ukrainian filmmaker Oleg Sentsov, illegally convicted in the Russian Federation, started a hunger strike on May 14, demanding the Russian authorities to release Ukrainian political prisoners. Later, lawyer Dmitry Dinze at a briefing said that Oleg Sentsov would continue his strike till the end. The spokesperson of the Ministry of Foreign Affairs of Ukraine Mariana Betsa said that Ukraine is considering all possible options for the liberation of Oleg Sentsov. She stressed that the option of exchanging Oleg Sentsov for the director of Russian information agency "RIA Novosti Ukraina" Kirill Vyshinsky, who was detained in Kyiv on suspicion of state treason, is possible. Reference: In late August 2015, the North Caucasus Military District Court of Russia sentenced Oleg Sentsov to 20 years in prison.